Only 2 boys left...Harlequin bloodline. Mom and dad on site. Raised in home with kids. Puppy’s have had tails docked, dewclaws removed, shots and series of dewormings. Pups will go home with puppy kits. Please call for any further information. Overview: The Miniature Pinscher is a small dog, but has the energy and ego of a dog twice his size. Always up for fun and exercise, this breed makes a great family pet. Coat: Hair is smooth, short and lustrous, also hard. Character: Miniature Pinschers are alert, bold, and lively. Care: Its coat is virtually carefree, requiring only occasional brushing to remove dead hair. Training: This breed requires consistency in training. 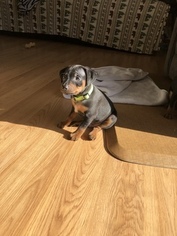 They are eager to learn and obey commands very quickly. Activity: The Miniature Pinscher requires regular opportunities to run and play. Health Issue: This breed is very healthy, although some may have under active thyroid and hip dysplasia. 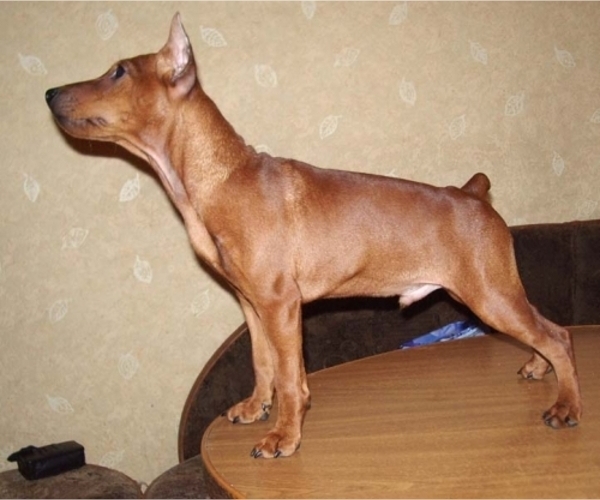 Posted Breed: Miniature Pinscher (short coat). 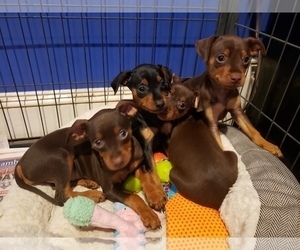 Posted Breed: Miniature Pinscher (medium coat). 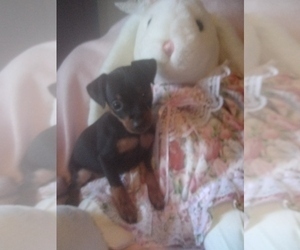 Posted Breed: Miniature Pinscher / Chihuahua (short coat).